A 19-year-old college student has been missing since Tuesday when he left his parents’ house to meet a friend and never returned home. Blaze Bernstein, a sophomore at the University of Pennsylvania, met his pal and went to Borrego Park in Orange County while he was home for winter break, the Orange County Sheriff’s department said in a press release Friday. The friend told investigators that he used a bathroom in the park at around 11 p.m. and when he came out, Bernstein was no longer there, Carrie Braun, a spokeswoman for the Sheriff’s Department said, The Los Angeles Times reported. “We do not believe foul play was involved at this point, and the friend is only a witness, not a suspect or person of concern,” Braun said. 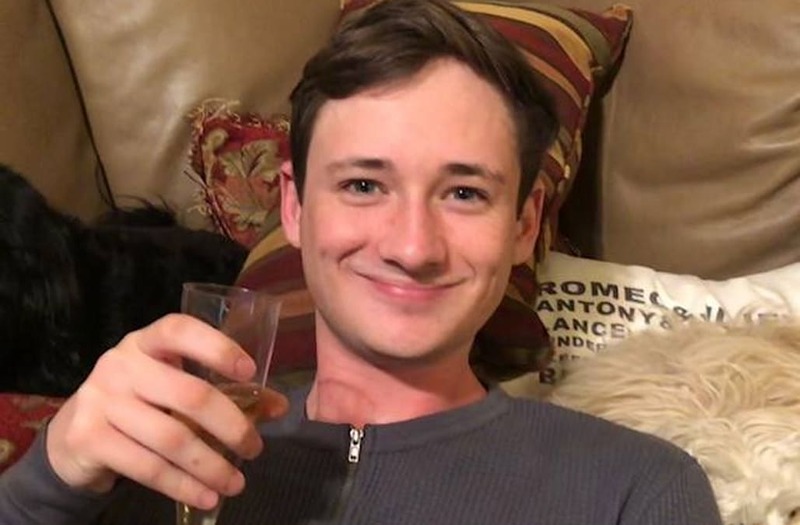 Blaze Bernstein was last seen around 11 p.m. on January 2nd at Borrego Park in Foothill Ranch, CA. Search and rescue teams were out in full force Saturday. Bernstein’s father, Gideon Bernstein, launched an independent effort to locate his son. He told the Daily News that with the help of friends, he assembled a team of professionals that is flying a fleet of drones over area toll roads. “We put them out over the area because people say they may have seen Blaze the morning after he left our house,” Gideon Bernstein told the Daily News. “We talked to this person after the fact and they were helpful,” he said. Gideon said friends and family have rallied behind the effort to locate Blaze. “I am trying to keep as busy as possible trying to find him and not think about everything else. We have encouraged our friends and family to come over. We have 10-20 people in our house at a time and everyone is helpful. It’s been amazing,” he said. Gideon believes his son left home Tuesday intending to return. He said his son left his wallet and eyeglasses behind, and figures Blaze hadn’t planned on being out for long. “He probably thought he didn’t need his wallet because he was just going to hang out in the park or whatever and maybe he had his contacts in,” Gideon told the Daily News. On Wednesday afternoon, Blaze missed a dental appointment. Gideon said that’s when he started to worry. “I left work early and we came back to the house and started to pour through the computer and figure out what messages he had sent were relevant to what he had been up to in the last 24 hours,” Gideon said. They contacted law enforcement and filed a missing person's report. Blaze is an editor of the Penn Review literary magazine and was recently made managing editor of Penn Appetit, a food publication. Blaze was scheduled to fly back to Pennsylvania on Sunday. “We still have his ticket for tomorrow so I am hoping that he is back but it’s tough to be optimistic about this,” Gideon said.